Eyeliner is one of my most fickle friends in cosmetics. I can’t live without it – it’s my desert island product. But sometimes, when I need it most, my eyeliner lets me down. Boo YOU eyeliner. I love kohl for it’s intense, blackest black “I am the NIGHT!” effect but a bit of heat, sweat and one accidental eye rub later, boom – it’s headed halfway down my cheek, making me look more panda than Prada. Well what about liquid eyeliner then? 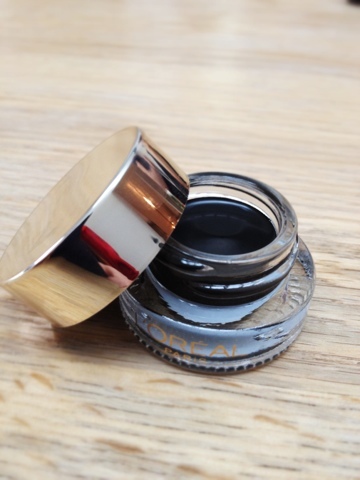 Sure, it lasts long and looks insanely black when painted on BUT once dry, some liquid liners they lose that initial sooty black colour payoff and can be prone to flaking. So what’s the answer to this clear first world dilemma you ask? Funny you ask, cos I have JUST THE THING. 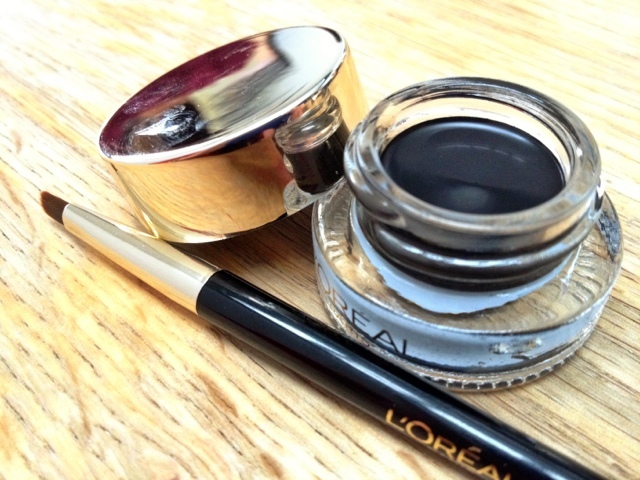 L’Oreal 24 Hour Super Liner Gel Intenza Eyeliner. Another massive mouthful of a product I know, but it does what it says on the tin! Not used Gel Liner before? Gel liner is great. 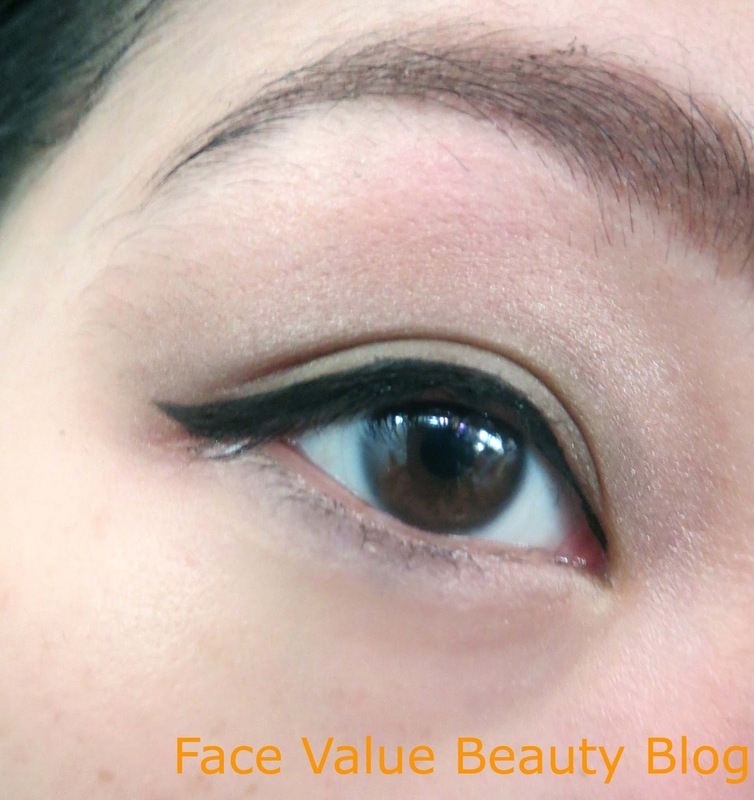 You get the intensity and sootiness of kohl, but with a staying power greater than liquid liner. My L’Oreal Super Liner Gel eyeliner remained in place throughout the day despite my weak eyeshadow crumbling all around it. What a trooper. Once it’s dried, the lines stay crisp and sharp without smudging (unless you seriously rub it) It was an intense black and even remained on the inner corners of my eyes. One of it’s main contenders for me is the Maybelline Lasting Drama Eyeliner which I mentioned in my end of 2012 summary post. The L’Oreal Gel Intenza consistency is really smooth and soft. It glides on even smoother than the Maybelline eyeliner and I like the fact that I don’t feel like I’m dragging my delicate eye skin. The brush that comes with the L’Oreal Gel Eyeliner is much nicer and expensive looking than the Maybelline Lasting Drama but the bristles haven’t been rounded off enough – I can occasionally feel a couple of longer bristles which feel a bit sharp. Take a small amount on the brush and angle the brush depending on how thick you want the line to be. What about Amy Winehouse Cleopatra flicks? Turn the brush so its 12 & 6 on a clock. For me, one of the only downsides about using a gel liner is that if you don’t clean the brush, it will get all hard and crispy. It becomes the equivalent of applying the liner with a twig. A very fancy but pokey twig. For those of you who, like me, shy away from regular brush cleaning (its not cos we’re lazy, it’s cos we just don’t have time right?) DO NOT FEAR, cos I have a super tip. 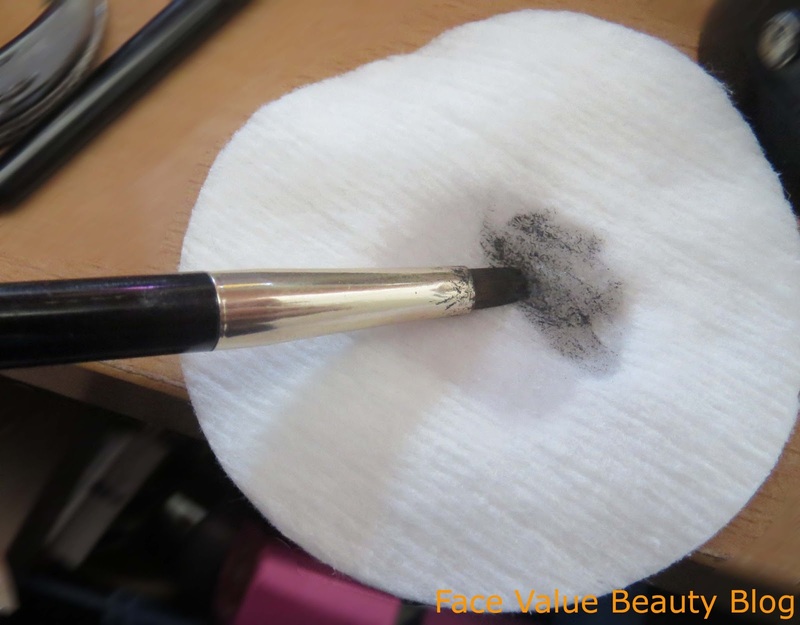 FaceValue tip: Put a couple drops of eye makeup remover onto a cotton pad and wipe the brush on it each time after application. Easy and quick brush cleansing! And voila – strong and lasting definition for your peepers – without breaking the bank. The L’Oreal Gel Intenza retails at £8.49 but I bought it on a 3 for 2. And it honestly lasts ages – I’m talking 6 months here – I hadn’t even finished my Maybelline pot yet! 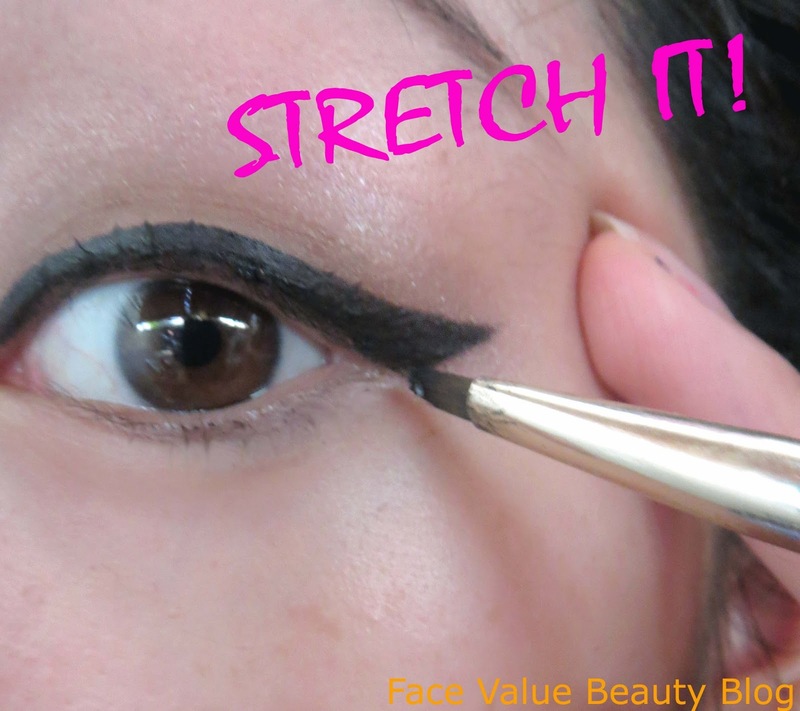 If your budget can’t stretch that far – the Maybelline one is cheaper but in my humble opinion, not quite as good. Have you tried either of these – which do you think is better? What do you use to apply eyeliner – pencil, liquid or kohl? Do YOU regularly clean your brushes? Next Post Escentual.com Micellar Blind Trial – which one was the best?